Flustered and anxious at the thought of leaving your beloved doggo behind while you make that business trip or family vacation? Hotel For Dogs (HFD) is here to provide your pet with a little vacay of his or her own, with comfortable and clean kennels, a large, open play area, well-trained staff and a doctor on call. 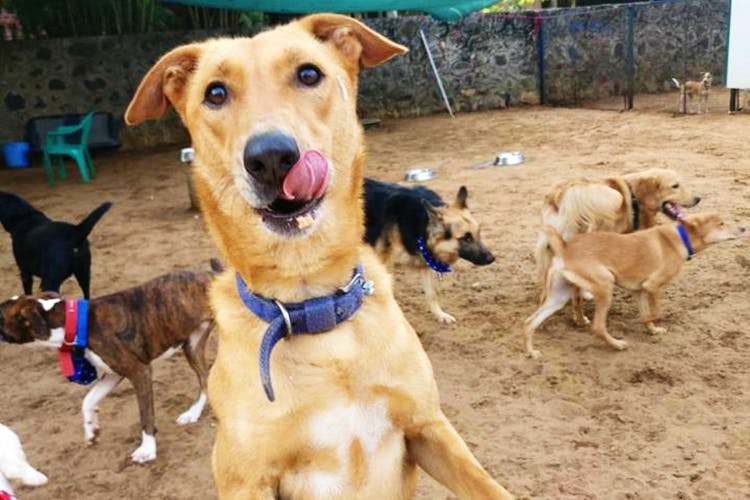 Dismayed by the conditions of existing kennels in the city — they were dingy, damp and dirty — and disillusioned by the total lack of space, hygiene and basic safety, Shravan Krishnan and TA Adishwar founded HFD in 2014, a concept quite alien to the city of Chennai. If you’re a regular user of social media, it is impossible that news of HFD has escaped you. Their regular photographic updates feature the exploits of their visibly contented guests — ranging from the tiniest terrier to the exotic husky and from the endearingly clumsy Labrador to the massive Great Dane. And why wouldn’t their guests be happy? Facilities include an open area of 10,000 sq ft for the dogs to run around and play in, specially designed swimming pools to splash about in and cool off, spacious climate controlled, soundproof kennels, a state-of-the-art pet boutique, and grooming facilities. Pet parents can rest assured of the welfare of their wards. The hotel is under constant surveillance by CCTV cameras, the much-adored staff is equipped to handle both everyday and emergency situations, and medical assistance is guaranteed if required. For particularly concerned owners, the hotel arranges regular updates through Whatsapp and even arranges video calls! According to the testimonies of clients waxing eloquent of this shelter’s facilities, the pricing is reasonable, and even dogs that are sick, have handicaps of some sort, are anti-social or otherwise difficult to care for are happy and looked after well here. And whether he/she has stayed three or 30 days, every pooch goes home clean, groomed and healthy, and very reluctant to leave their holiday home apparently.